BURGUS Tribute & Design Hotel is a tribute to Braga. This Innovative project is inspired by the testimony of the times and its recognition, through the inclusion in the architecture and hotel services; tribute to great personalities and institutions that have marked and still mark the history and future of this Burgo. D. Pedro was ordered bishop of Braga in 1071, following the restoration of Braga diocese by King D. Sancho II, of Galicia. During the diocese's administration, he undertook a remarkable work of administrative and territorial reorganization. It was under his initiative that the reconstruction of Sé de Braga (cathedral) received a significant boost by projecting a Romanesque cathedral of European dimension, which was solemnly dedicated to Saint Mary on August 28, 1089. Together with the Sé and Cabido Bracarenses, D. Pedro founded the oldest Portuguese school of which there is record, the school of the cathedral of Braga, documented in the year 1072. André Ribeiro Soares da Silva was born on November 30, 1720, in Braga, he lived with his parents in “Rua do Souto”. Son of a wealthy merchants’ family, started following the religious life, taking ownership of smaller orders in the Archdiocesan Seminary in 1737, joining the following year the brotherhood of St. Thomas Aquino. 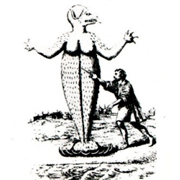 The extraordinary creative work of André Soares, manifested, especially as a "scratcher", was only properly recognized in the middle on the 20th century thanks to Robert´s Smith art history studies, becoming one of the greatest Portuguese figures of the Setecentista period and one of the European exponents of the baroque-rococo style. 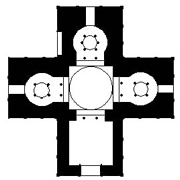 In the architecture area, André Soares is the author of the Church of the Consolation Lady, Our Lord of Passos, chapel of Saint Mary Magdalene façade in Falperra and the Braga city Hall building, according to documentation. 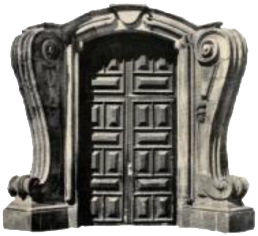 It is also attributed by affinity the Palace of Raio, the Oratory of Nossa Senhora da Torre, the Church frontage of Congregados, Arco da Porta Nova and Church of Lapa, all in Braga. On November 26 of 1769, with only 49 years André Soares dies, leaving behind considerable work in the architecture, sculpture, painting and tiles in Braga and in the city surroundings. D. João Peculiar was born in Coimbra the accurate date remains unknown. It is known that he studied in Coimbra and Paris, in 1123 he founded the Convent of St. Christopher of Lafões, in Beira, near São Pedro do Sul. He was elected Bishop of Porto in 1136, later Archbishop of Braga and Primate of the Spaniards between 1138 and 1175. He was the meeting organizer between the Portuguese King, with Alfonso VII of Leon and Castile, on October 4 and 5, 1143; which resulted in the Zamora Treaty, which marks Portugal independence. He always accompanied the new king and watched the conquest of Lisbon in 1147. D. João Peculiar made 14 times the trip from Braga to Rome to convince Pope Innocent II to recognize D. Afonso Henriques the title of king – which only happened in May 1179 by Pope Alexander III. The archbishop died on December 3, 1175 and was buried in Sé de Braga. S. Frutuoso de Braga (deceased on April 16 of 665), was a monk and a gothic bishop of the VII century, worshiped like a saint. The story of his life comes to us via St. Valerius, one of his disciples, a copyist and writer monk, who wrote it immediately after his death. 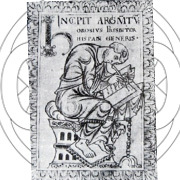 In the work "Vita Sancti Fructuosi", the aspects of the monastic life of the biographer are almost exclusively emphasized, omitting his action as bishop and his intervention in the civil and religious life of the Visigothic Kingdom, which will certainly have had great importance in the bosom of the Hispanic Goths. He was nominated bishop of Dume by the Visigothic king Recesvinto between 653 and 656, St. Frutuoso was invested in the dignity of Metropolitan Bishop of Braga and Galécia in the course of the Council of Toledo. On the outskirts of the city of Braga, in the place called Montélios, he founded a monastery dedicated to San Salvador, where he died in 665 and next to which he had the mausoleum built for his burial, today known as S. Frutuoso Chapel. He died in Braga on April 16, 665. The Archbishop of Compostela, Diego Gelmírez, in 1102, was responsible for the body transfer from Braga to Santiago, where he was solemnly buried in the cathedral's crypt. The cathedral of Compostela celebrates the liturgical solemnity of the translation on 16 December, nowadays the saint can be venerated in the Relic Chapel. The importance of Frutuoso to understand the spirituality of Visigothic Hispania is fundamental. In Braga, is venerated in the chapel of S. Frutuoso, as well as in the Cathedral. D. Diogo de Sousa, was born in Évora in 1461, did his preparatory studies in Lisbon, Salamanca and Paris universities, where he obtained his Ph.D. He was dean in D. João II of Portugal royal chapel, participated in the embassies of obedience to Pope Alexander VI and Julius II and was chief chaplain of Queen D. Maria (second wife of King D. Manuel). He was also bishop of Porto, becoming Archbishop of Braga in 1505, when D. Manuel reigned. It was by his remarkable actions that the city broke the medieval walls to be extended. He built, outside the walls, a new city, with new and airy spaces that still exist nowadays like the Campo dos Remédios (Largo Carlos Amarante), Campo da Vinha (Praça Conde de Agrolongo), Largo das Carvalheiras and Avenida Central. Also had new streets opened and a new door to the city, Arco da Porta Nova. He built new churches outside of walls like the Senhora-a-Branca. D. Diogo de Sousa has a special desire to affirm the modernity of his time, which he did by undertaking a remarkable set of works that transformed the city of Braga . In the Sé de Braga (Cathedral), he is the one responsible for the construction of the main chapel and the tombs of the fathers of D. Afonso Henriques (first king of Portugal), D. Henrique de Borgonha, Count of Portucale and D. Teresa de Leão. He died on June 19, 1532 and is buried in the Chapel Nossa Senhora da Gloria located in the Sé de Braga. Pêro de Magalhães Gândavo (Braga, c.1540 - c.1580) was a portuguese historian and chronicler. Son of Flemish parents from the city of Gand, hence his nickname Gândavo, was born in Braga at an uncertain date, probably around 1540. He lived in Brazil a lot of years. In the north of Portugal was a teacher of latin and Portuguese. Is the author of the famous book "History of the Santa Cruz Province to which we commonly call Brazil", besides fauna and flora, he relates the discovery of Brazil by Pedro Álvares Cabral, as well the beginning of the colonization process, various indigenous tribes and describes the various Captaincies in which the Brazilian territory was divided. Finally, he draws a picture of the potential that this land reserved for the Portuguese, as well as the vastness of the territory and its economic resources. D. Afonso I of Portugal, better known by Dom Afonso Henriques (Guimarães or Viseu, 1109 - Coimbra, 6 of December of 1185) was the first king of Portugal, denominated The Conqueror, The Founder or The Great, since he was the one who founded the Kingdom of Portugal and many other conquests. Son of Henrique de Borgonha and of Dona Teresa de Leon, counts of Portucale, a dependent county on the Kingdom of Leon. After the death of his father, Afonso took a opposite political from his mother, who had allied with Fernão Peres de Trava. Intending to secure the county dominion, he armed knight, and after winning the battle of São Mamede in 1128, assumed the government. He then, concentrated all his efforts on gaining recognition as a kingdom. In 1139, after the victory in the battle of Ourique against a Moorish contingent, D. Afonso Henriques proclaimed himself king of Portugal with the support of his troops. The Portuguese independence was recognized in 1143 by the Treaty of Zamora. It was on May 27, 1128, that the birth certificate of Portugal was signed in the city of Braga. 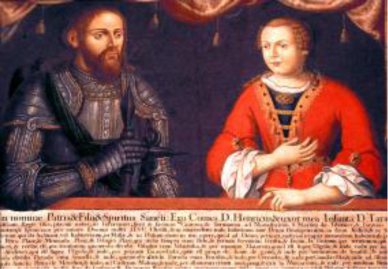 On that day, the Archbishop of Braga D. Paio Mendes and D. Afonso Henriques, prince in duel with his mother for the government of the Portucalence county, signed a document that established a decisive alliance to give birth to Portugal. In 1179 the kingdom of Portugal was officially recognized and signed by the Pope Alexandre III. D. Henrique and D. Teresa - (1066 - Astorga, April 24, 1112) was Count of Portucale from 1093 until his death. In Portugal he is known, generally by Count D. Henrique. Henry died on April 24, 1112. D. Teresa was the illegitimate daughter of King Alfonso VI of Leon and Castile and Ximena Moniz, a Castilian noblewoman. In 1093 Teresa was given, by her father in marriage to Henry of Burgundy, and donated them the County of Portucale, territory between the Minho and the Vouga that in 1096, would extend until the Tejo. D. Henrique and D. Teresa had several children, but only the youngest survived his childhood: D. Afonso Henriques, who succeeded his father and became the second count of Portucale in 1112. The disfavour of the nobility of the Portucalense was the source of internal conflicts that ended up manifesting in the support given to Afonso Henriques, who in 1128 broke with his mother, assuming the government of the Portucalense County, initiating a process that would eventually lead to the creation of the Kingdom from Portugal. They are both buried in Se de Braga (cathedral). D. Rodrigo de Moura Teles was born in 1644, son of the 2nd Count of Vale de Reis. From 1690 to 1694 he was rector of the University of Coimbra and later, in 1694, was bishop of Guarda. From 10 March 1704 until his death in 1728 he was archbishop of Braga. He carried out numerous construction work around the city; instituted the 40 hour jubilee or lausperene in 1710, a practice still in force and built the Cathedral Treasury Museum in the grounds of the old house on the beginning of the 18th century. D. Rodrigo de Moura Teles gave the Bom Jesus complex an architectural and iconographic unity, celebrating at the same time his own power as a member of the church, as he placed his weapons on the portico that begins the journey. It is due to his initiative to carry out numerous works, a little throughout the diocese and especially in the city of Braga, which was marked by one of the most remarkable sets of architectures of Baroque affiliation built during the first quarter of seven hundred. The chapels of Our Lady of Guadalupe and Santa Maria Madalena, the convent of San Francisco de Real, the Recolhimento das Convertidas, the sewage collection system of the Sete Fontes and the deep remodeling of the Sé Cathedral was also made by him. The temple construction works remained until the nineteenth century, and although baroque language predominates in all space there are multiple testimonies of rococo and neoclassicism. He is buried in St. Gerard Chapel, in the Cathedral of Braga. The generality of the researchers accepts that St. Martin of Dume is from Pannonia (present-day Hungary), lived between 518 and 579. 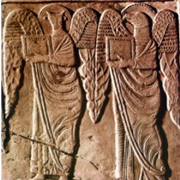 He was well acquainted with the geography of his time, traveled to the Middle East and acquired a solid classical formation, Greek and Latin texts, having frequented monasteries and Italian cultural centers. Bishop of Braga from 569 and Metropolitan of Galicia, 'Apostle of Suevos' and organizer of the Bracarense Church. Saint Martin was considered by his contemporaries as one of the most educated men of his time. 'Illustrious Bishop of the August Bracara', was the name given to his chronicles by St. Gregory of Tours and St. Isidore of Seville. Of his main works, “De Correctione Rusticorum (a type of catechism)”, “the Formula Vita Honestae (treatise on morality) “and the “Capitula Martini (supplementary to the disciplinary provisions of the Second Council of Braga)”, which have spread throughout Western Europe Translated into Hispanic, Frankish, Flemish and Central European manuscripts, contributing to the diffusion and consolidation of a spirit of cultured romantics, which underlies European identity. Saint Martin of Dume is ”Patronus aeque Principalis Archdiocese Bracarensis” - Chief Patron of the Archdiocese of Braga. Carlos Luís Ferreira da Cruz Amarante born in Braga on October 29 of 1748 and deceased in Porto on January 22nd of 1815 (66 years) was a Portuguese engineer and architect. Despite rejecting a religious life, Carlos Amarante kept a close connection with the ecclesiastical hierarchy from Braga, which contributed to is artistic training, most of it acquired in a self- taught way. It was also this training that ended up directing him towards the architecture, in which he became known nationally and internationally. The work that would launch him as a renowned architect was the frontage restoration of the Church of Our Lady of Pópulo, which was endowed with classic lines, equally present in the compositional structure on the frontage of the convent. 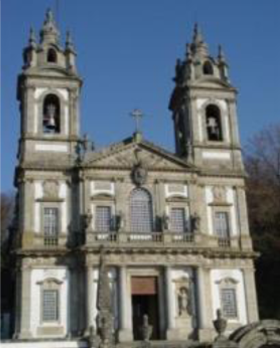 In 1781 Archbishop Gaspar of Bragança commissioned him to expand the Sanctuary of Bom Jesus: in addition to the construction of a new church, Carlos Amarante designed other works in the Sanctuary, associated with both the garden and hermitages, as well as to the Stairs of Virtues. After the completion of these works, he received more demanding orders, which quickly made Carlos Amarante one of the main architects of the 18th century in Braga, namely the Sanctuary of Bom Jesus do Monte (1784-1811), as well as the garden, hermitages, the fountain Of the Terreiro de Moisés and the Stairs of Virtues. It is generally accepted that Paulo Orósio was born in Braga, he lived between the years 375 and 420. Around 414, he left Braga suddenly, eventually chased by the new Swabian power, arriving in Hipona (North Africa) in the same year, where he begun to collaborate with St. Agustine. During his pilgrimage to the Holy Land, Paul Orosio collected a few relics of St. Stephen (martyred in the year 37), which had been discovered on December 26, 415, which he intended to transport to Braga but that eventually deposited in Menorca. On the return journey from Palestine, he met again with St. Augustine again in Hippo, during his stay between 416 and 417, wrote his most famous work: "History against Pagans". 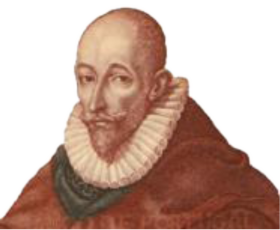 Francisco Sanches (1550-1622) was a Portuguese physician, philosopher, and mathematician. He was born in the territory belonging to the diocese of Braga. In 1551, he was baptized in the Church of São João do Souto. In 1573, he enrolled in the Faculty of Medicine of Montpellier and, two years later, he settled in Toulouse, where he remained until the end of his life, teaching medicine, having been considered in this university one of the most illustrious masters. In 1577 he moved to Toulouse, where he held the position of director of the Saint Jacques hospital from 1581 to 1620. He was also a professor at the Faculty of Arts in Toulouse between 1585 and 1600 and at the Faculty of Medicine, where he joined in 1610. As a posthumous tribute, his portrait was placed in the room of the Acts and remains there, Braga also, did not forget him, raising a statue, and giving his name to a school. He was also an eminent philosopher: he challenged Aristotle's philosophy and the alleged knowledge of scholasticism, showing how fallible senses are denouncing the ineffectiveness of traditional methods, and attempting to define his own ideal of knowledge. Known as a man of the Renaissance, Francisco Sanches stood out not only as a doctor, but also as a philosopher and as a mathematician. He was author of vast work published by his sons and Delassus in the Opera Medica, published in 1636. His main work was published in the I edition (Lyon, 1581), entitled "Quod nihil scitur" (That Nothing is knows), but the second edition (Frankfurt, 1618) brought a bit more consistency to the title to mach his thinking: De "multum nobili et prima universali scientia quod nihil scitur ". He died In Toulouse on 16 November 1623. Adolfo Luxúria Canibal was born in the city of Luanda, in Angola, and grows between Vieira do Minho and Braga. In 1978, he studied law in Lisbon, where he lived until 1999, practicing law and legal advice. As a specialist in Environmental Law, he lectured extensively in Portugal and abroad. From 1993 to 1999 he was a member of the Legal Experts Group of the Berne Convention with the Council of Europe in Strasbourg. He then moves to Paris, where he performs various mysteries. At the end of 2004 he returned to Braga and to legal advice in ? ?nature conservation. 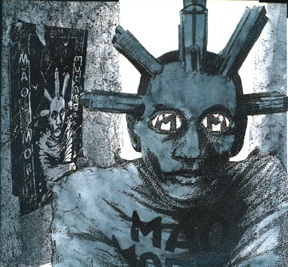 In 1984 he founded the rock band Mão Morta, of which he is a vocalist and lyricist, with whom he recorded 19 albums and conceived several multimedia and community shows. In 2000 he joined the French electronic group Mécanosphère, with whom he recorded 5 albums. He also participates in more than three dozen albums by other artists, Portuguese and foreign. Since 1999 he has also created spoken word and performance shows, which gave rise to 5 albums, and is an actor in cinema and theater and author of radio programs. 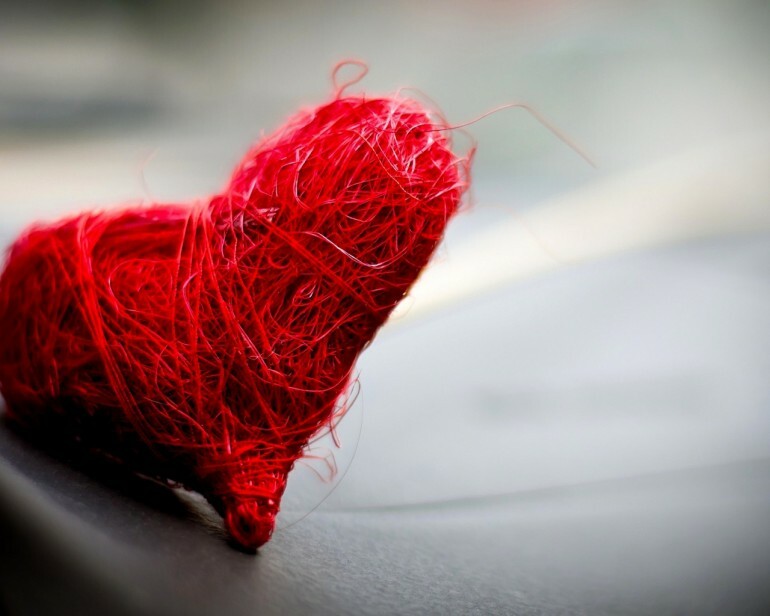 Published author, has chronicles and other texts in newspapers and magazines, books of poetry, prefaces, translations and essays. In 2003 he was considered one of the 50 most important living figures of Portuguese culture. In 2011 he conceived an object-art book with the surrealist photographer and painter Fernando Lemos and a video-art film with the artist João Onofre.